Simon is our seasoned expert in the art of presenting. At the age of 15 Simon made his first formal presentation. It was as the main speaker in a three person team for the local heat of a national ‘Youth Speaks’ competition. Simon did not volunteer for this, but instead was entered by his English teacher due to his apparent need to say something about everything. Standing in front of a room of over 100 people about to make a presentation, he was absolutely petrified. Then he started, and he found that he loved it. What’s more, he won that heat. What started off as no doubt a punishment, ended up igniting a passion. Simon has carried on making presentations in various guises ever since. During his career in coporate procurement he made numerous presentations to senior management to convince them of a certain course of action. Then when he moved into training, he found himself making sales presentations to potential clients. And, of course, there is his experience in making training presentations. Simon has now presented to well over 10,000 people, many of which comprise some of the brightest business minds around in European business today. These presentations have ranged from small informal affairs to making keynote speeches to hundreds of senior managers at conferences. With this bank of experience to draw from, Simon designed our training offer to be a one-stop-shop for anyone who wants to improve their presenting skills, whether they are a complete beginner or an experienced senior executive. 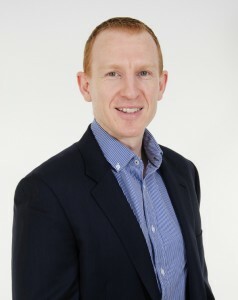 Simon also has a network of associate coaches who all have a wealth of presenting experience and are top class trainers.